Super Duplex steel is made by highly alloying Duplex steel. Because of the high chromium content, Super Duplex Steel Sheets & Plates and provide excellent resistance to acids, acid chlorides, caustic solutions, and various other chemicals. Also, our offered range of Super Duplex Steel Sheets is specifically used in heat exchangers, mechanical components, marine industries, chemical industries, architecture, wire lines, etc. 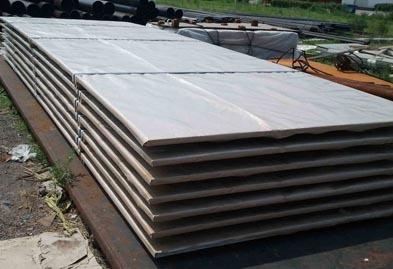 Super Duplex Steel Hot Rolled Sheets Plates are prepared by roll-pressing the steel above the re-crystallization temperature of steel, i.e., between 1080 degree Celsius and 1280 degree Celsius. These can be easily formed and also are easy to work on with. Super Duplex Steel Cold Rolled Sheets & Plates are basically hot rolled steel which has undergone further processing. In this process, steel is rolled or pressed into semi-finished or finished good at a temperature lower than steel’s re-crystallization temperature. 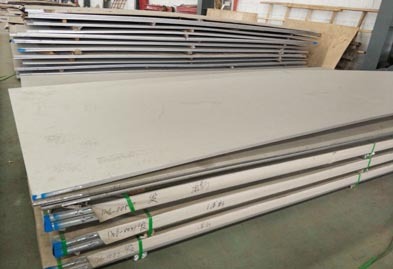 Super Duplex Steel Galvanized Sheets & Plates are formed by applying a coat of zinc throughout the body of the steel sheet or plate, which helps in protecting it from corroding or rusting, thus providing longer life and durability. Super Duplex Steel Polished Sheets & Plates basically are super duplex steels that have undergone polishing and grinding to give it a super-fine finish and flashy luster. These are tank manufactures and OEMs supplying products to the chemical and pharmaceutical industries. Super duplex steel perforated sheets are created by punching materials, perforated patterns, especially holes, onto the body of the steel sheets. These find use in oil field drilling, mine screening, engineering, etc. Super Duplex Steel Chequered Plates are mostly used as raw material for various small and large scale industries. These are wear-resistant and offer excellent hardness. We deliver all sorts of super duplex steel sheets and plates products with the various range of sizes, wall thickness, and dimensions to cater all needs of industries at most competitive prices. Contact us today to request a free, quick quote! Jaydeep Steels stocks a wide range of materials and grades. Below are a list of all standard super duplex steel sheets and plates materials and grades we stock. Our experienced team of metal experts will get you the metal you need when you need it. Call us today for your Super Duplex Steel Sheet & Plate Needs!